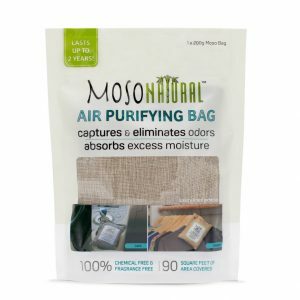 Moso Natural Air Purifying Bag 200 or 500 grams | Foster-Stephens inc.
We are so excited to introduce these Moso Natural Air purifiers. 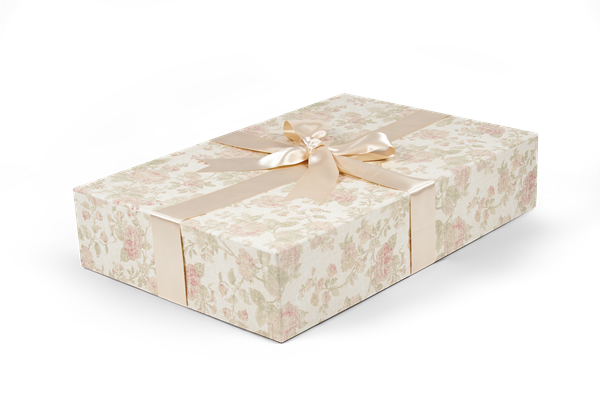 Foster-Stephens' products helps to keep your clothing safe. Now we can help neutralize the air surrounding our packaging and your clothes as well! These bags are great for closets, dresser drawers, bathrooms, nurseries and even kitchens! Moso Natural Air Purifiers are a safe, sustainable solution for combating odors, pollutants, allergens and mildew in your home. We recommend a Moso bag wherever you store clothing items that you would like to keep from deteriorating. 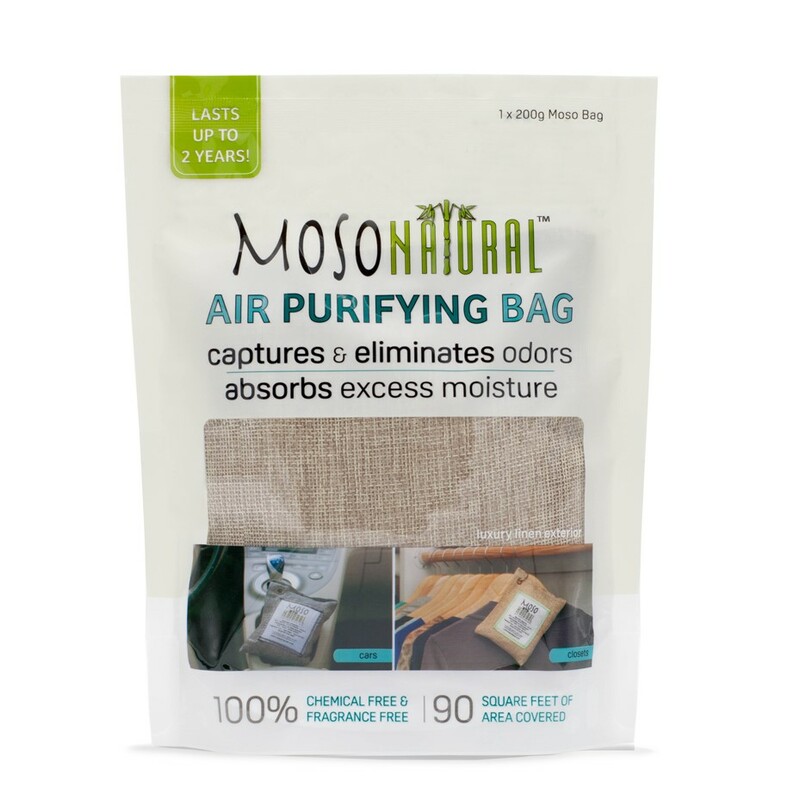 Moso Bags use 100% bamboo charcoal to purify air and neutralize odors naturally. With a lifetime of up to 2 years, these eco-friendly air purifiers can be rejuvenated and reused over and over again! Moso Natural Air Purifiers use self-activated bamboo charcoal’s absorptive capacity to remove odors and organic impurities from the air in living spaces. The charcoal also reduces humidity, keeping air dryer to prevent mold and mildew. 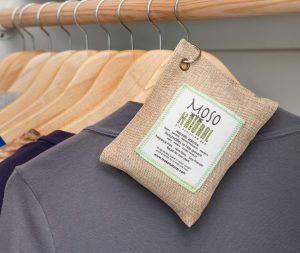 Moso Bags are great for all kinds of spaces – bedrooms, kitchens, basements, pet areas, offices, bathrooms, closets, and more. Recharge your Moso Bag every 30 days in sunlight for an hour or more, and each bag will last up to 2 years. 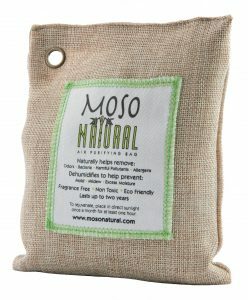 At the end of its useful life, you can use the charcoal inside your Moso Bag to fertilize your plants! The powerful bamboo charcoal is sealed inside a beautifully stitched linen bag. It is safe to place on any surface or material; Covers 90 sq. ft. perfect for cars, closets, bathrooms, pet areas.